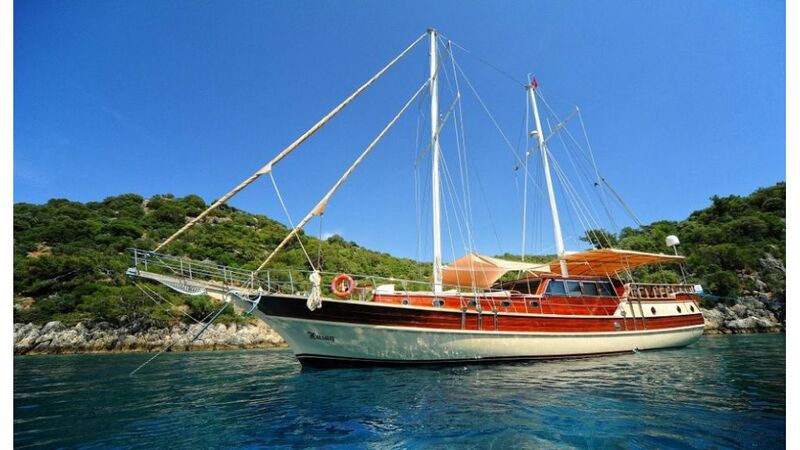 The Luxury gulet Hasay is one of the smaller but delightful gulets ideal for a small family or group of friends for a private gulet cruise along the Turkish coast. 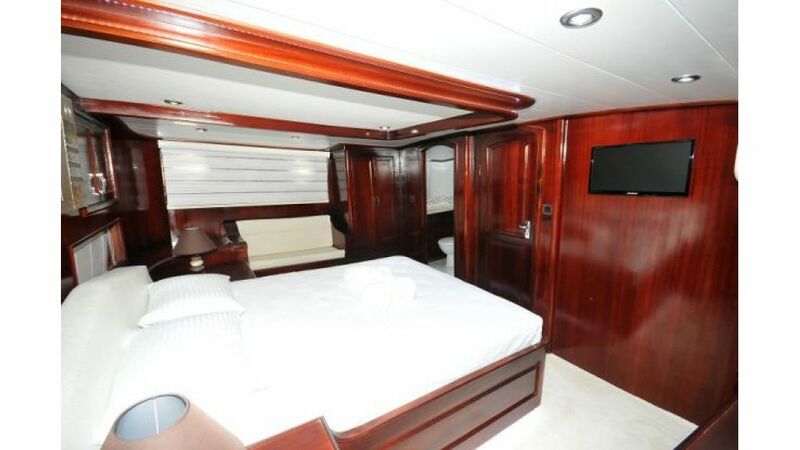 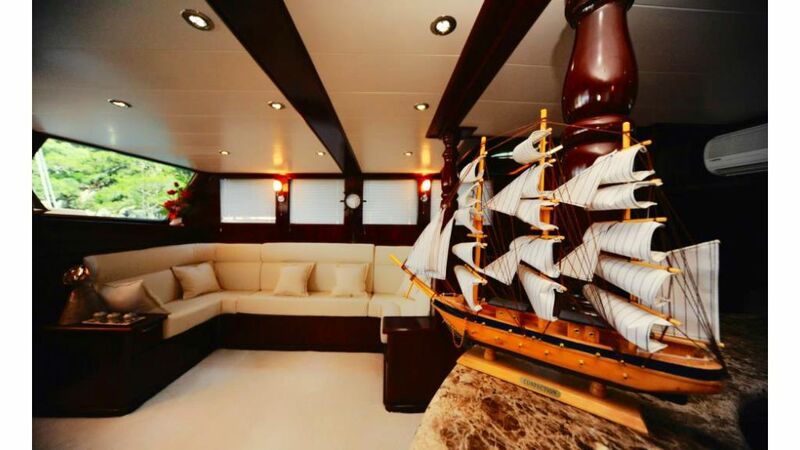 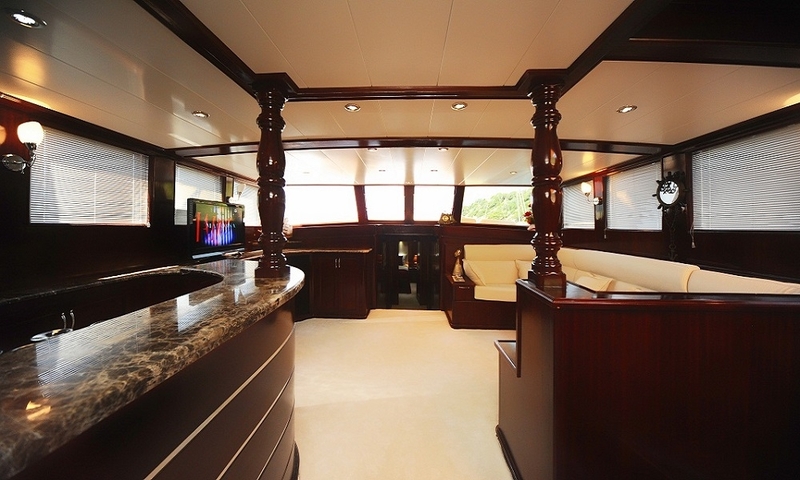 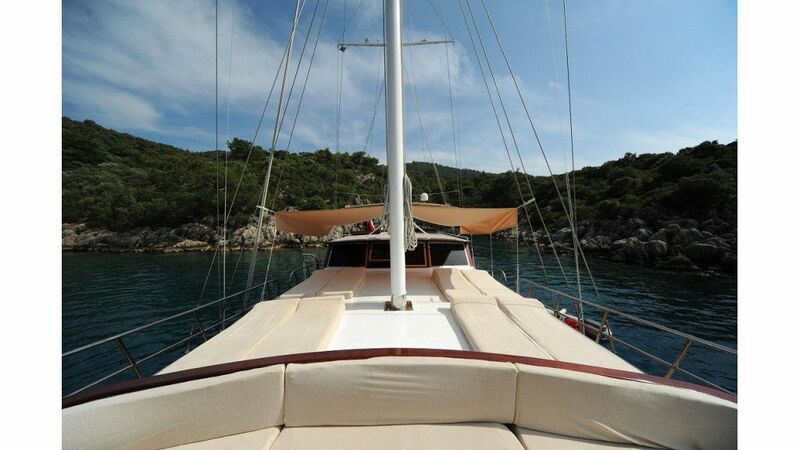 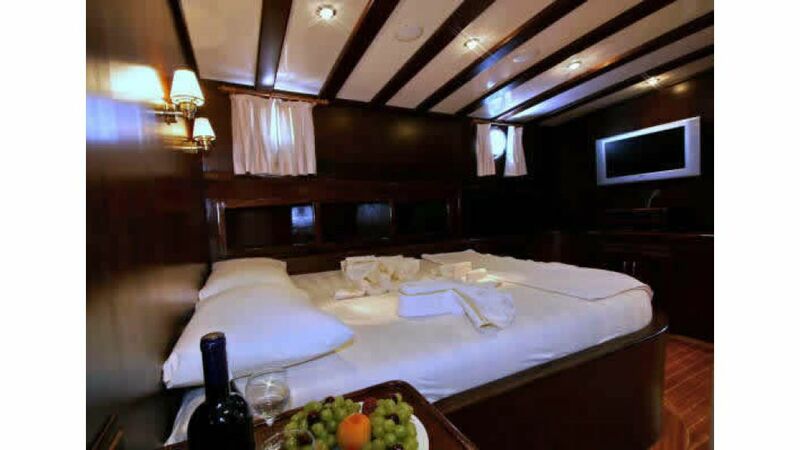 Built in Fethiye and then extensively renovated to bring it up to a very modern and contemporary standard of décor and fittings, the 22 meter gulet carries one very luxurious and spacious master cabin, one smaller double bed cabin with walk around bed and side seat, and two side double bed cabins. 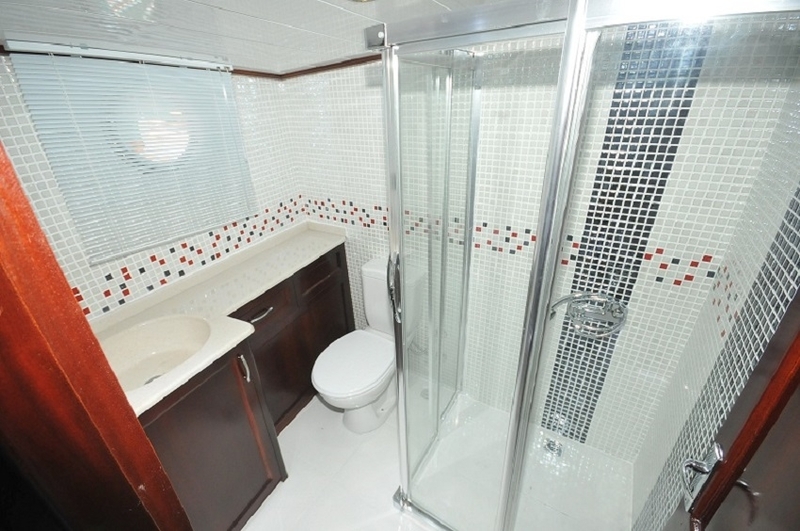 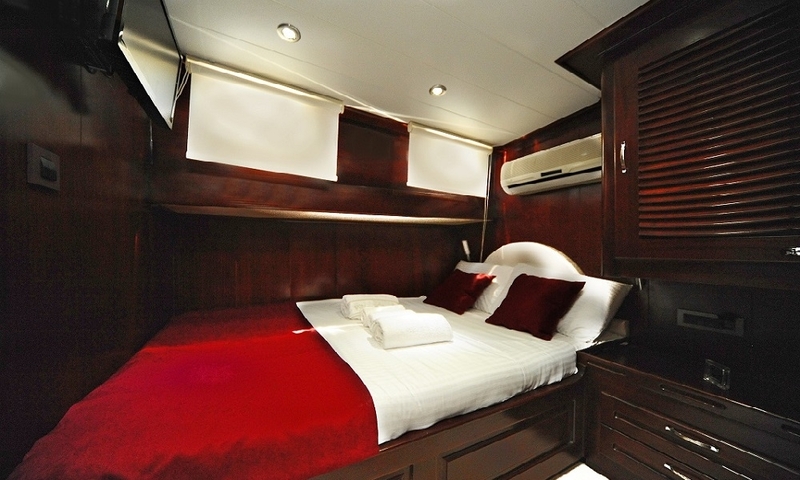 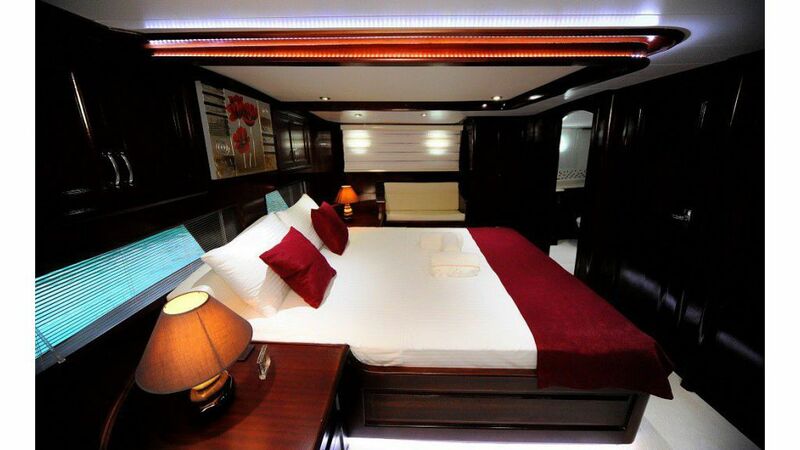 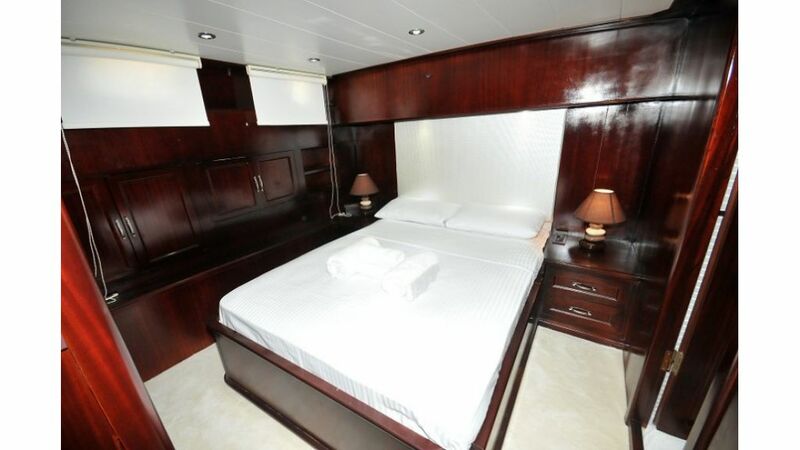 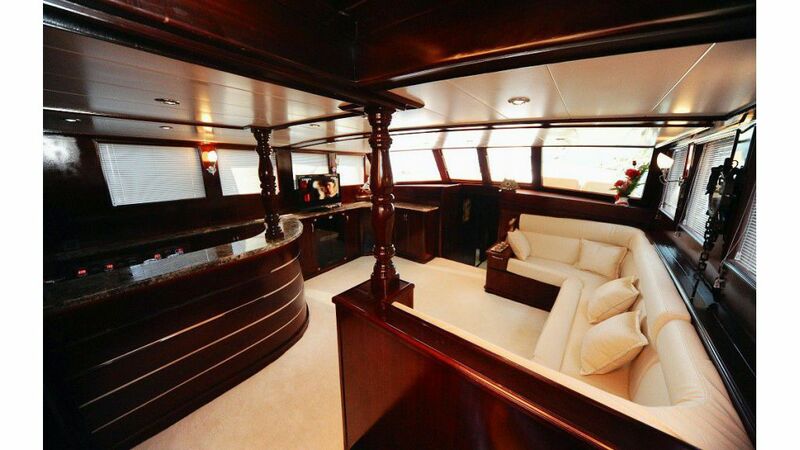 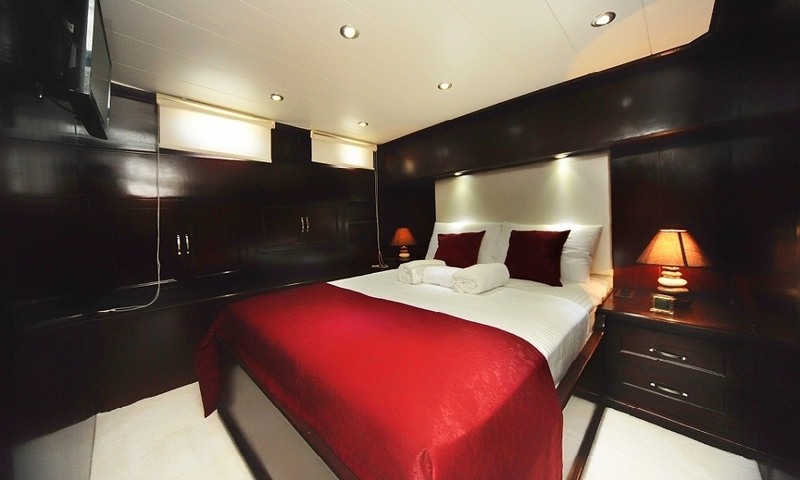 All cabins have well–appointed private bathrooms, and have air-conditioning available throughout. 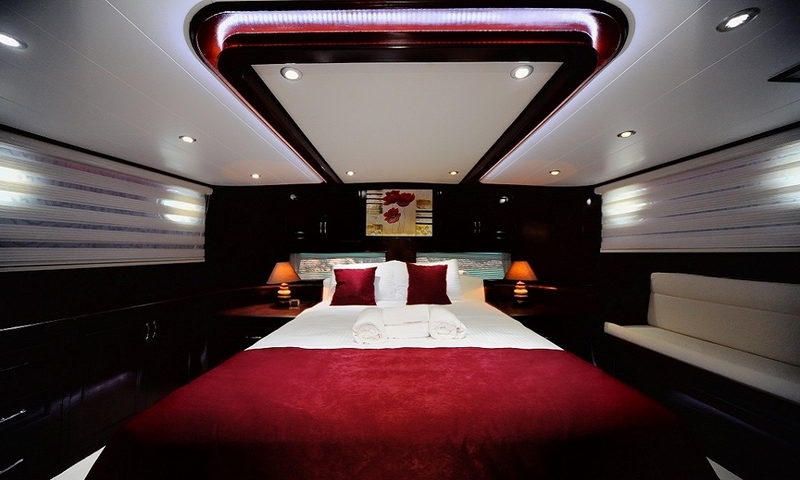 The striking red, black and white color theme is carried through into the very comfortable indoor saloon where a sofa seat makes viewing of the TV/DVD system very relaxing, with the service bar beside it. 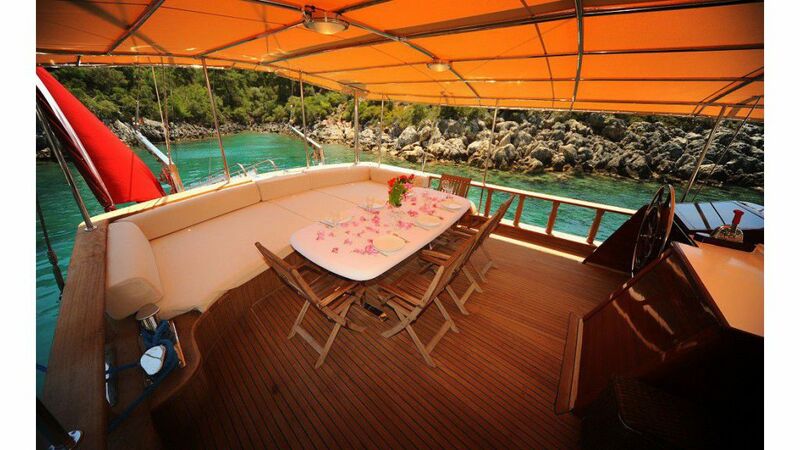 On the aft deck the dining table sets the scene for marvelous dining al fresco, while the long bank of cushions is the sought-after spot in the shade for hours of reading or chatting. 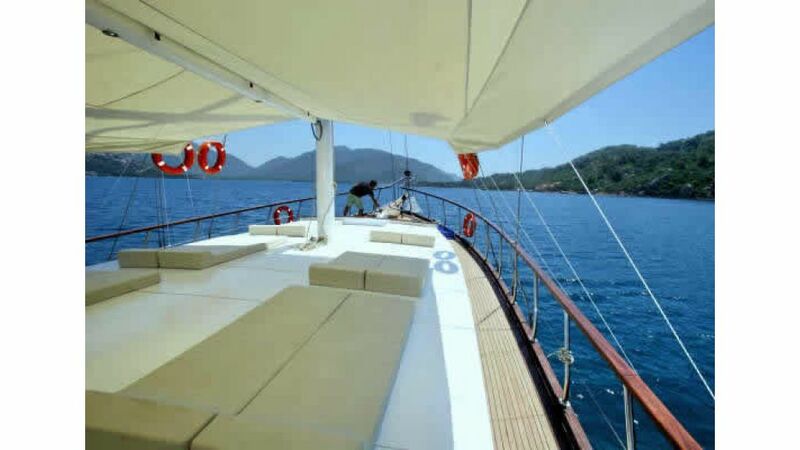 Sunbeds and the inviting bow seat are located on the foredeck where the sunshine, breezes and passing views can be enjoyed as the gulet passes from one beautiful bay to the next. 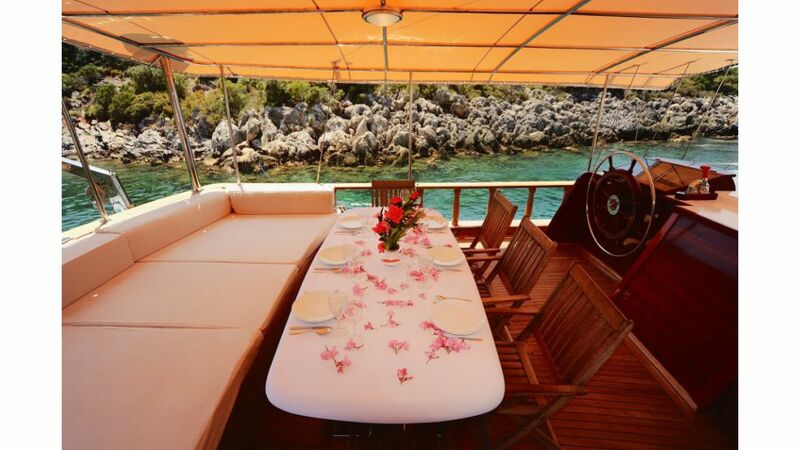 The Captain and crew on Turkish gullet Hasay are dedicated professionals who know the coastline, and also how to serve up delicious meals, and to see that guests have a thoroughly enjoyable and carefree gulet holiday afloat.